Brining is the secret to juicy turkey! 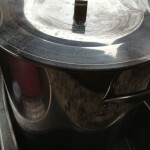 (and a lot of other meats) It’s very economical and an easy way to prepare meats. Brining is like a marinade, as it keeps food moist and tender. The process increases the moisture holding capacity of meat resulting in a much more moist product once it is cooked. 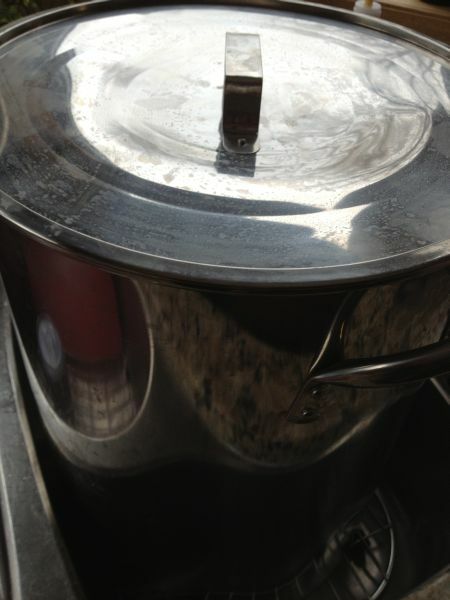 I started brining a few years ago after viewing so many different chefs doing so on the food network. One of the great things about brining is that there are very few rules. Most start with water and salt. My favorite techniques come from Ann Burrell. Add in some sugar and spices and turning, tossing or string a couple of times throughout the brining process helps distribute the flavors. 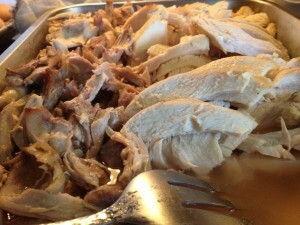 You’ll never want to eat turkey prepared with your old methods again as this is so moist and delicious! If the turkey is frozen, thaw it completely according to the package directions before brining. To make the brine combine all of the ingredients and stir until all of the sugar and water is dissolved. Add chopped vegetables and pepper. 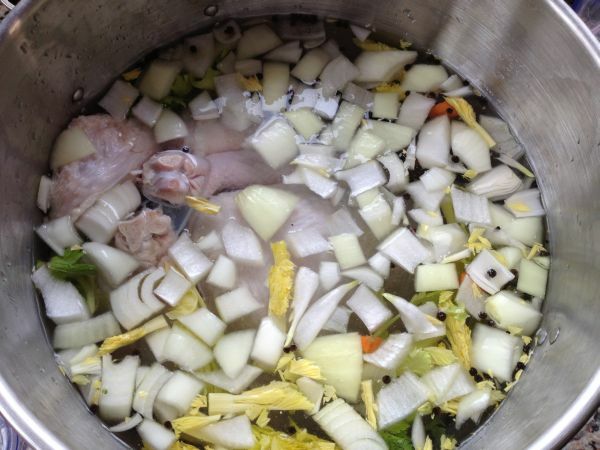 Rinse the bird thoroughly inside and out before adding it to the brine inside of the pot. Submerge the bird in the brine and refrigerate for at least 24 hours, stirring occasionally. If serving turkey sliced, I like to let it sit in some homemade chicken stock that has been infused with some “better than bouillon” chicken or turkey flavor.